A Caravan Gas Fridge is the king of convenience on the road. It can run on 12/24-volt battery power, 240 volts or LPG gas. So you have the freedom to venture further than ever before – and still enjoy the luxury of chilled food and drink. A caravan gas fridge is the king of convenience on the road. By far the biggest advantage of a caravan gas fridge is the convenience. You have three options to power your fridge: 12-volt power, mains electricity, and LPG. That’s because, instead of a compressor, a 3-way fridge uses a gas-flow heat exchange system to remove the heat rather than creating the cold. The upshot? You are unshackled from powered caravan sites to enjoy the real adventures of remote Australia. Look at upright 3-way absorption fridges running on gas and efficiency is one of the biggest pros. In fact, they are known to run for several weeks on a single 9kg gas bottle (trust us, we’ve done it!). So, if you’re heading out for some free camping in national parks, at a rest area or in the bush, a caravan gas fridge has got it covered. A 3-way caravan gas fridge will often only need replacing after about 20 years. Compare that to around ten years for compressor fridges, and this means value for money in the long run. But it does depend on the model you choose and how well you maintain it. 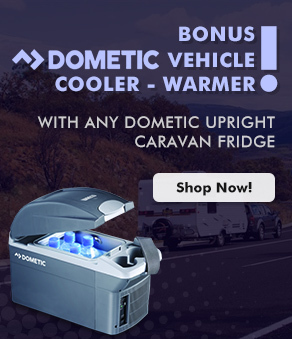 Choose a top brand like Dometic or Thetford, and you can be sure your fridge is designed to meet the demands of Aussie road trips. Plus, you get the advantage of the national service agent and spare parts support, which is peace of mind worth paying for. This is a bigger plus than you might first realise. Thanks to the heat exchange system, 3-way fridges hardly make a sound. This is a huge bonus when you’re in a small space, i.e. a caravan. A 3-way caravan gas fridge will often only need replacing after about 20 years. 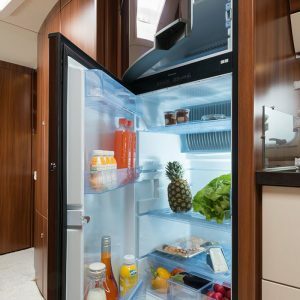 Unlike a 2-Way compressor fridge, caravan gas fridges have no moving parts which means there’s less maintenance to worry about while on the road. 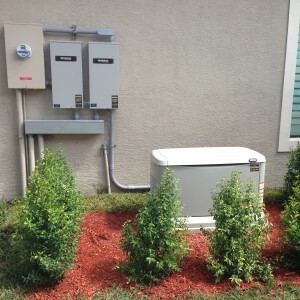 Simply keep the connections clean and the vents free from obstructions, and the rest will take care of itself. Gas and mains power aren’t options for your caravan gas fridge when you’re on the move. But that doesn’t mean you have to worry about your food spoiling. 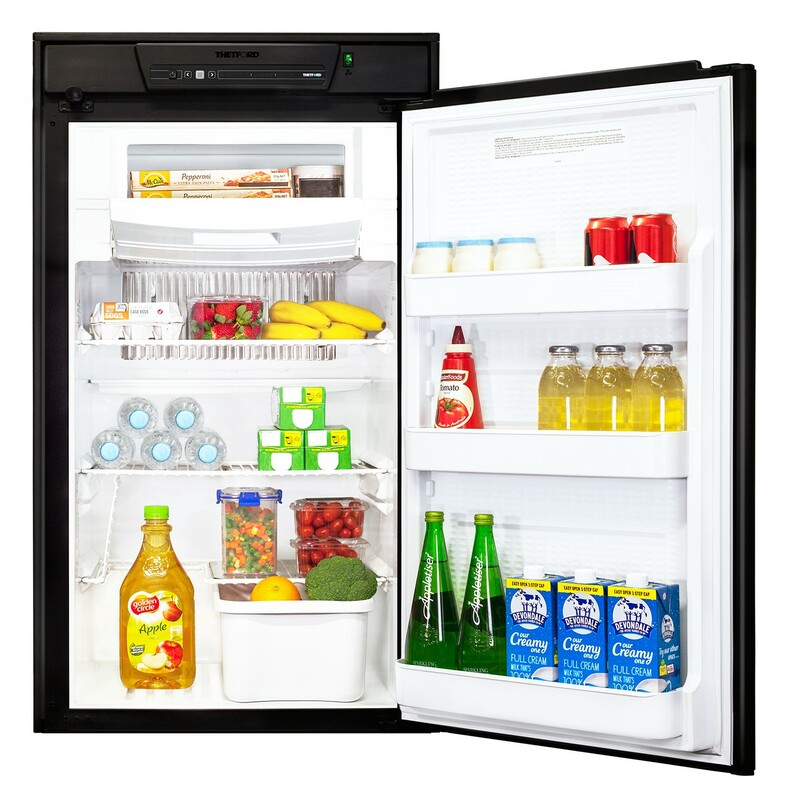 A 3-way fridge will run smoothly on 12-volt power from your car or RV. Just remember to switch back to gas or mains if you stop for a while, so you don’t drain your battery! They might be efficient running on gas, but three-way fridges are not designed to run continuously on 12/24v battery sources. 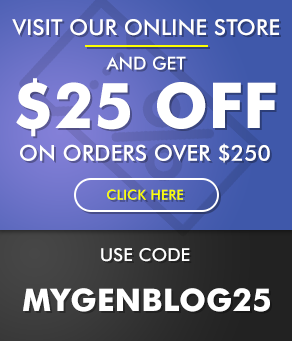 That’s because they’re only designed to be used on 12/24v power when the vehicle is running. Some unlucky caravan owners find this out the hard way – don’t be one of them! Running your 3 way fridge for too long on a DC battery source will drain your battery very quickly. 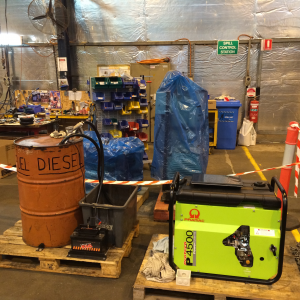 Absorption 3-way gas fridges take longer to cool than compressor driven fridges, especially in very hot temperatures. Also, while compressor models can also provide consistently cool temperatures even in Australia’s warm environments, caravan gas fridges can’t always get as cold. You can’t always park a caravan on level ground. But that’s what a caravan gas fridge needs if it’s going to operate at its best. Let’s just say there may be occasions where you need to spend a bit of time seeking out the right parking spot. Caravan gas fridges need to be installed and certified by a qualified and licensed gas-fitter / caravan installer. This is not something you can afford to ignore – improperly or illegally installed products will void the manufacturer’s warranty, not to mention pose a safety risk. But for many caravan owners, this is a small price to pay for convenience. 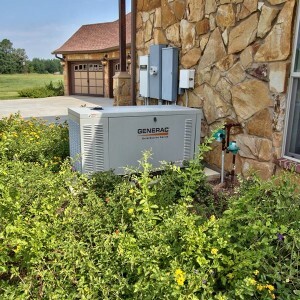 Yes you get convenience of three different energy sources with a 3 way absorption fridge… but really, its all about the gas power source. 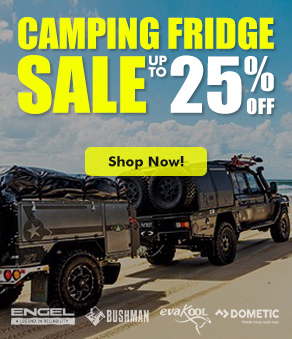 If you want your RV fridge to run on gas, then a 3-way fridge is for you. 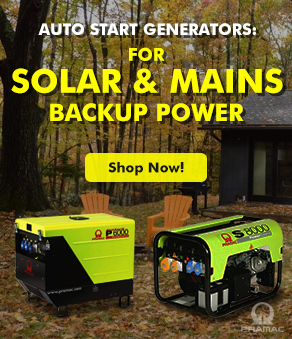 However if you are looking to use your battery source to run your fridge, then it is better to opt for a compressor driven RV fridge that are designed with 12/24 V operation in mind. 3 way fridges can run from a 12/24V power source, but really only for when your vehicle is running. 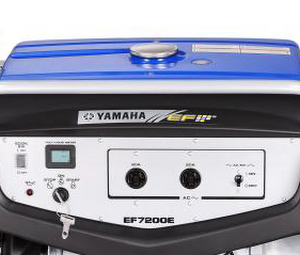 Have you decided a caravan gas fridge is the way to go? Check out our full range of 3-way fridges, including portable fridges here.